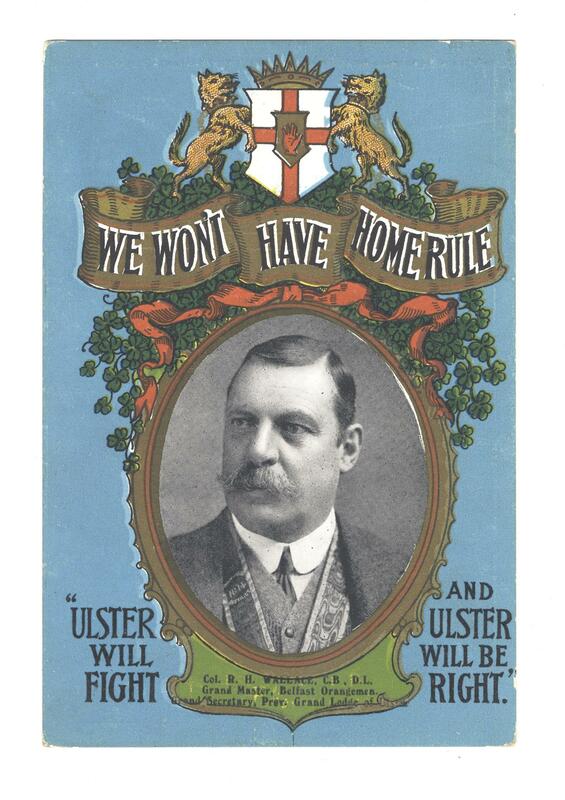 Anti-Home Rule photographic postcard of Col. R. H. Wallace, Grand Master Belfast Orangemen and Secy. Prov. Grand Lodge of Ulster, with shield bearing red hand of Ulster flanked by lions and banner saying' We Won't have Home Rule' and below by the motto 'Ulster Will Fight and Ulster Will be Right.' A slogan made by Randolph Churchill in an anti-Home Rule speech in 1892.